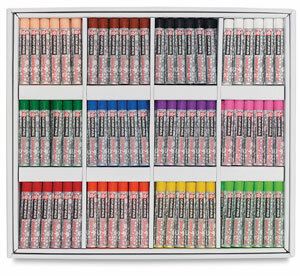 Easy to use, safe student-quality oil pastels for texture rubbing, blending, scratch art, or any coloring project. Build art skills without mess. Bright colors blend easily. 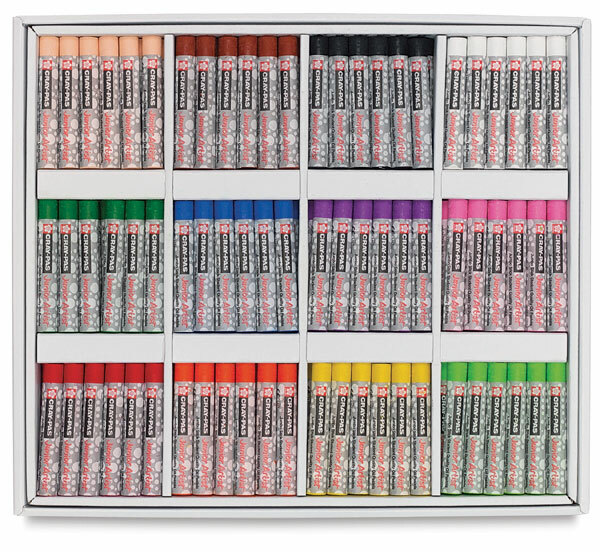 This Colorpack of 288 pastels contains 24 jumbo round sticks in each of the following twelve colors — Brown, White, Pale Orange, Purple, Cobalt Blue, Green, Yellow Green, Yellow, Orange, Pink, Red, and Black. Each stick measures 2-3/4" × 7/16" (71 mm × 10 mm).